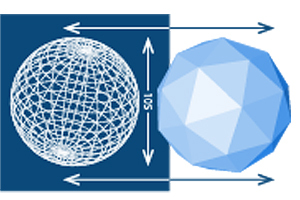 The process starts with packaging design, renderings, and a dimensioned drawing. 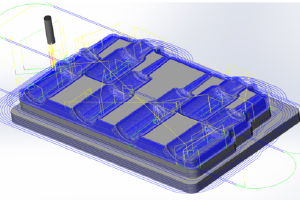 Our packaging and thermoform design teams leverage SolidWorks 3D modeling software to design thermoform packaging. Approval of drawings leads to tool design. 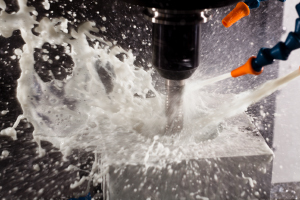 Tool design includes engineering and design of the mold, assist features, cutting plate, cutting die, and automation. We leverage CAD CAM software for path programming and cutting simulation. 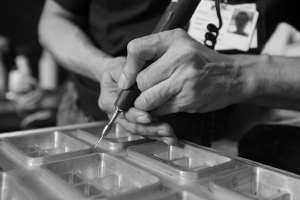 We utilize multiple high precision CNCs to cut the prototype mold from 6061 Aluminum or Plastic. With lights-out machining and multiple work centers, we are capable of quick turnaround on new projects. Samples are formed from the prototype tool. The samples are made one at time, and typically only a few are made from the prototype tool. The prototype sample is used to confirm product fit, placement, and to confirm tool manufacturability. With prototype approval, cutting of the full size 6061 aluminum thermoform tool begins. 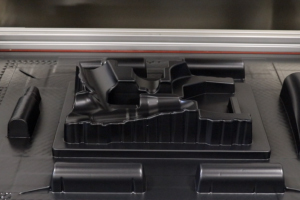 The programming and machining process can take 1-2 weeks, and highly complex molds can take longer. 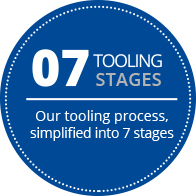 To expedite the process, we can simultaneously cut different tool components on multiple work centers. 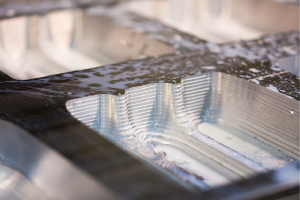 The production tooling consists of the mold, assist and cutting dies. 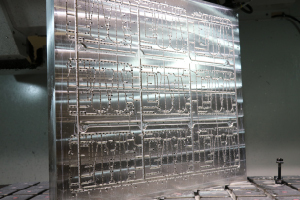 Production molds can be very complex, and many include over 4,000 holes and air channels for vacuum. The complex air channels are cut on the underside of the tool. Vacuum holes on the front side of the mold are drilled by hand. These connect the surface of the mold to the air channels underneath. Ultrasonic hand tools are utilized to finish the mold to customer specification.